Take a look around. It is October, and while the leaves in Charlotte have not started to turn, those changes will be coming soon. The Charlotte Observer offers a great graphic explaining why leaves change color. This is a good classroom or family discussion and lesson in science - weather, plants, chemistry, biology and more. Leaves changing color in October and November offer a terrific opportunity for civic learning, too. The Observer graphic includes a map of North Carolina and the progression of leaf color from the mountains to the coast. Fall foliage is a multi-million dollar natural resource for some communities in our state. Buncombe County, where Asheville is located, expects to welcome 350,000 leaf-watchers with an economic impact of $225 million over the next few weeks. Tourist dollars help local businesses to sell products, food and hotel rooms. The county collects sales tax. This helps to support county-funded services including schools, parks, libraries and social services. Responsible for developing communications to tourists coming to see fall foliage. How do you get your message across? A local government official setting the sales tax rates and budget. What happens in years when the leaf color is better - or worse - than others? A government leader balancing the interests of businesses, residents and tourists. What if a business wants to develop a wooded property that can be seen from the Blue Ridge Parkway? What if a neighborhood street is so busy every October and November that you can't cross it safely? The economic development official in another part of the state. Do you have a natural resource like the trees in the mountains? If not, how do you generate tourism to impact your local economy? You can connect what you know to global studies, too. Dr. Richard Braham, associate professor of forestry at NC State University’s College of Forest Resources says that many in our state don’t realize that much of the world doesn’t experience this fall color change, Braham said. "Basically, eastern Asia and eastern North America are the only places where there are many species of trees and plants that have the brilliant color changes in the fall," he said. "There’s very little color change in the forests of Europe, for example, and Europeans are normally just astounded when they visit here during our fall color season." Voting early? Take your kids! 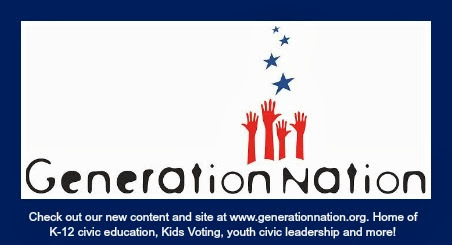 Doing Democracy: How YOUth Can Make a Difference!